Detailing the physical features, habits, territorial reach and other identifying qualities of the Long-Legged Sac Spider. Despite its propensity to come inside and make itself at home, the Long-Legged Sac Spider is best admired from a distance. 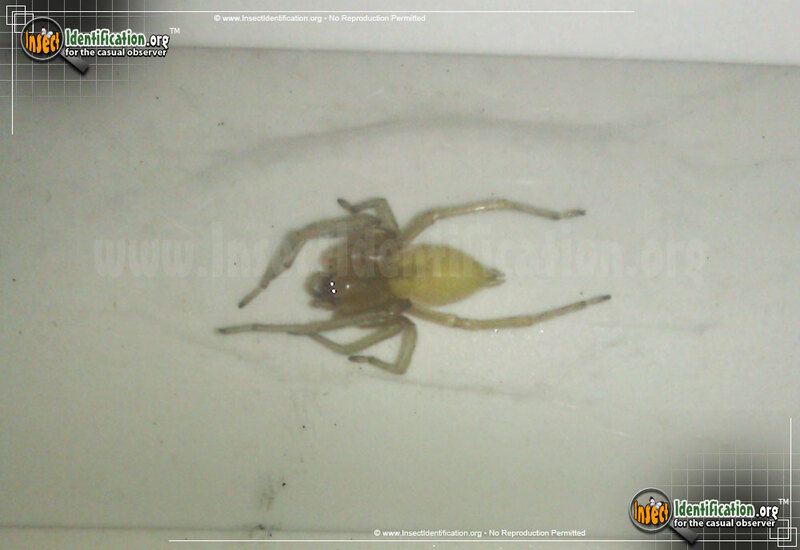 This pale spider is typically found in homes and offices on ceilings, in corners, and under beds. It builds a thin silk tent-like shelter in these corners and dark spaces. The silk shelters are not for ensnaring prey, but for resting. 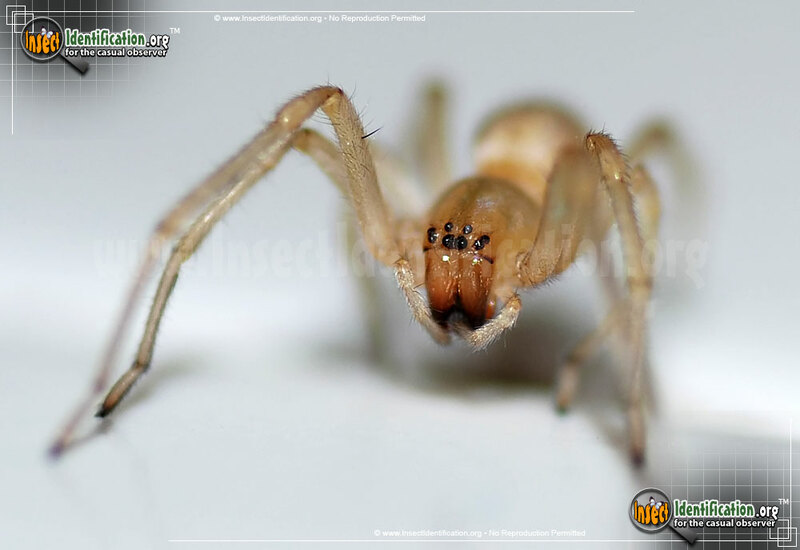 The Long-Legged Sac Spider is a fast runner because it is an ambush predator, and it is most active at night, under cover of dark. It is not picky; any type of insect it comes across is fair game. It may seek a hidden shelter in a pile of clothes on the floor. Out of surprise, or if getting crushed, the spider will bite. Its non-lethal venomous bite is painful humans and can be slow to heal, giving parents everywhere a good reason to encourage kids to put their clothes away. If startled, they may base jump off of tables and ceilings. Long-Legged Sac Spiders have a darker thorax than abdomen. The pale abdomen has a center marking that is thicker at the 'waist' and tapers off before getting halfway down the abdomen. Though most individuals are brown and ivory, some have abdomens that are a dark yellow, pale green, or even white. Pale legs end with feet that are typically black, or very dark. Females can lay over 30 eggs in one brood. 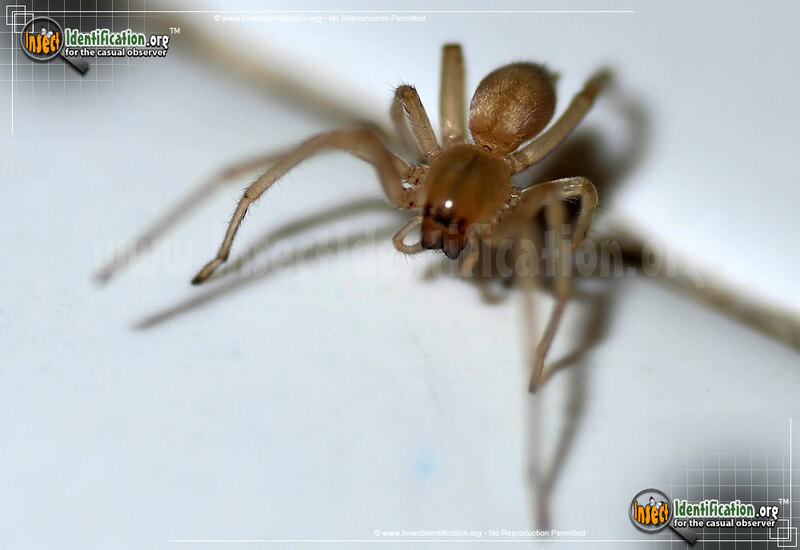 It is possible that if one Long-Legged Sac Spider is found inside, that others may pop up throughout the week.